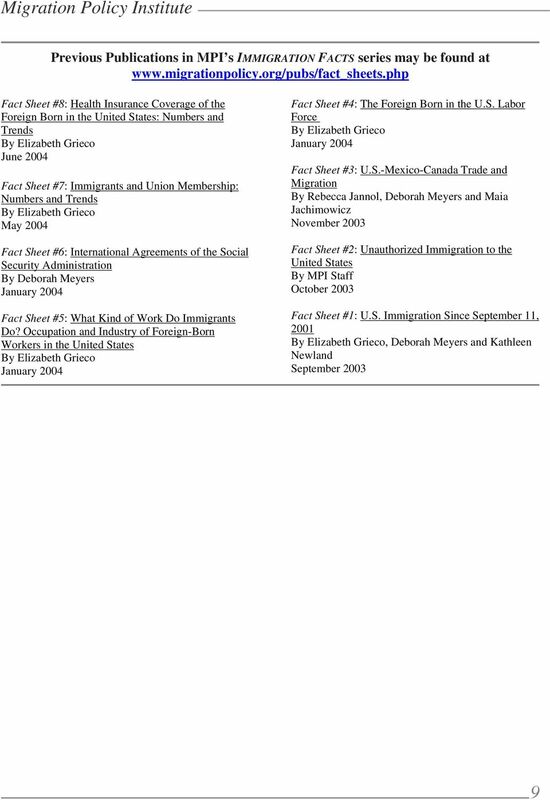 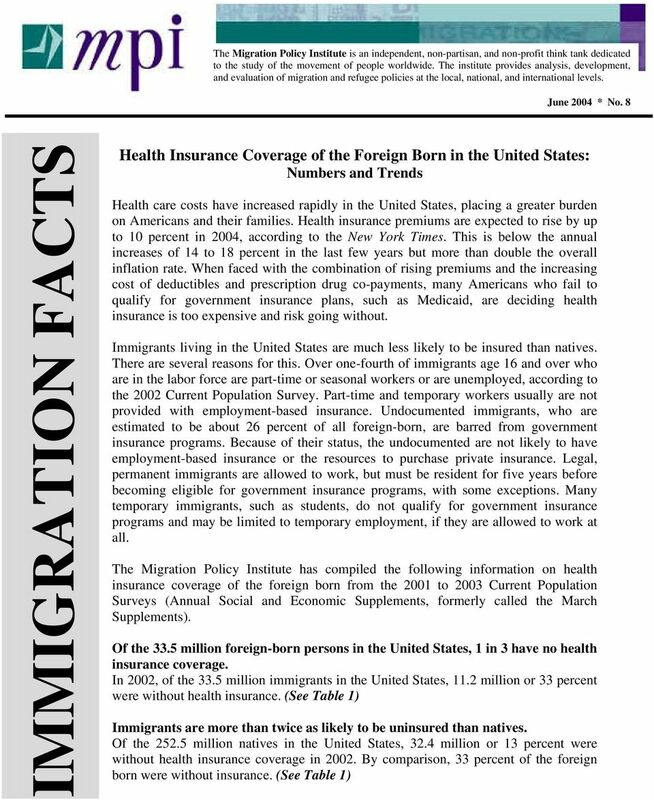 Download "IMMIGRATION FACTS. 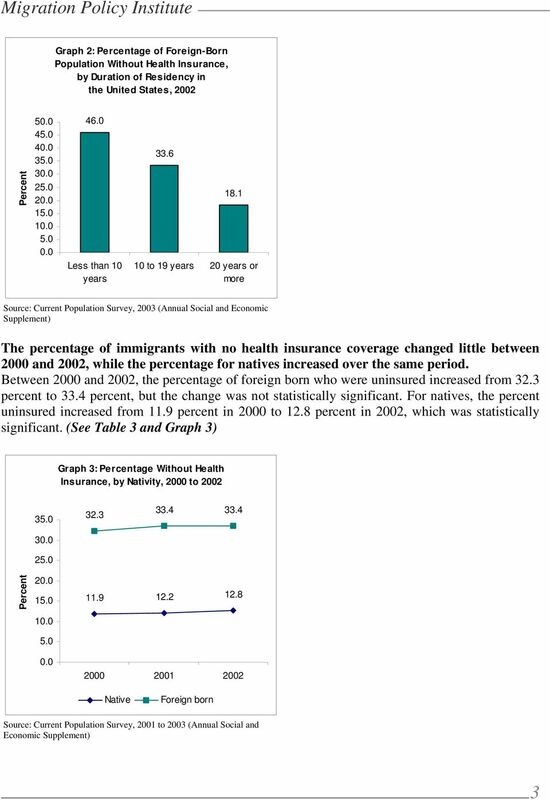 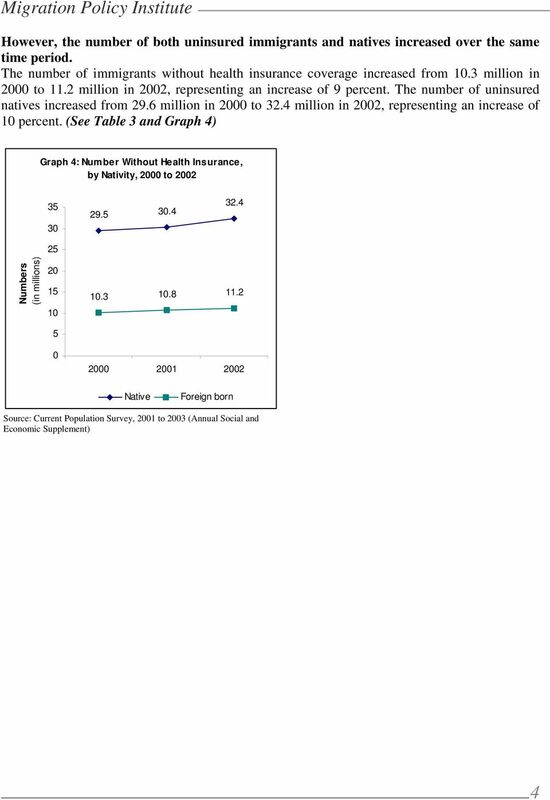 Health Insurance Coverage of the Foreign Born in the United States: Numbers and Trends"
AK Household Insurance Survey Survey Instrument 2006 Alaska Health Care Insurance and Access Survey General Introduction: Hello, my name is insert from the Alaska Department of Health and Social Services. 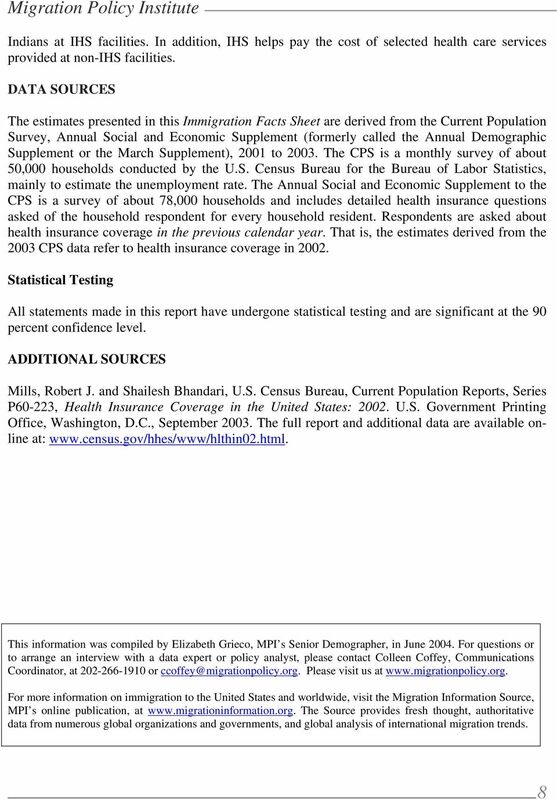 SIPP User Notes. 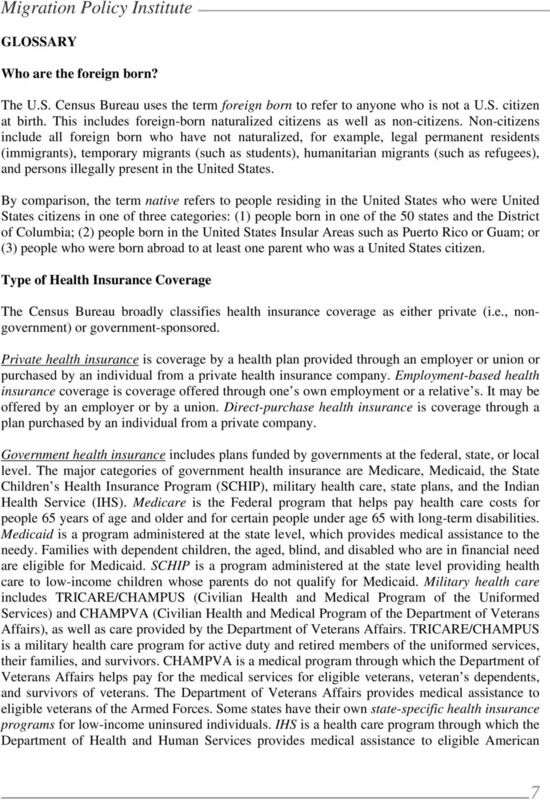 An example of code for converting these variables into yearly coverage variables is also included in the clean_h program. 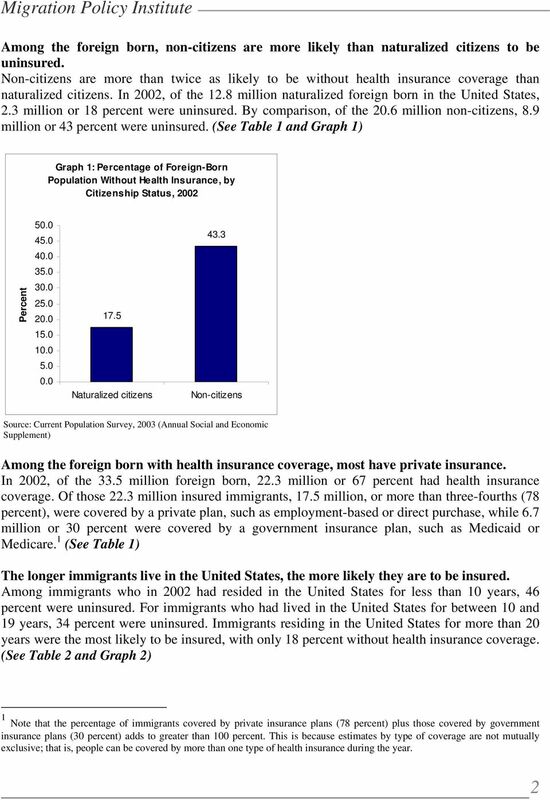 Figure 1.1. 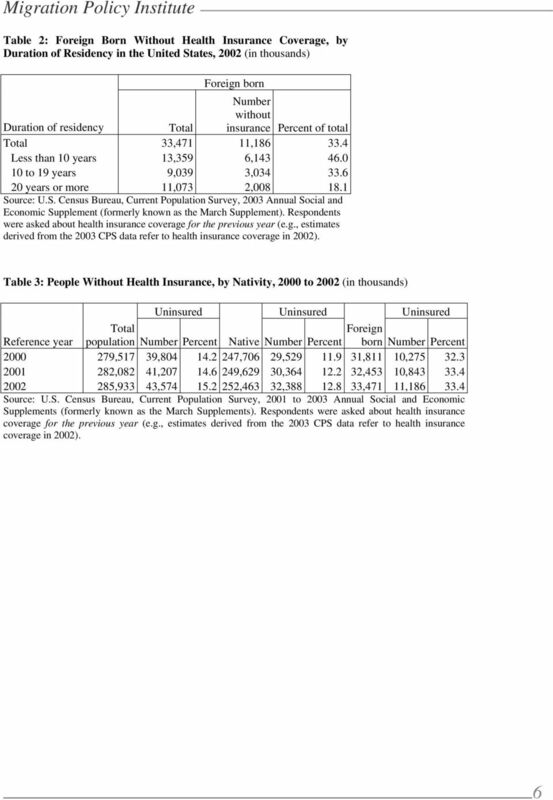 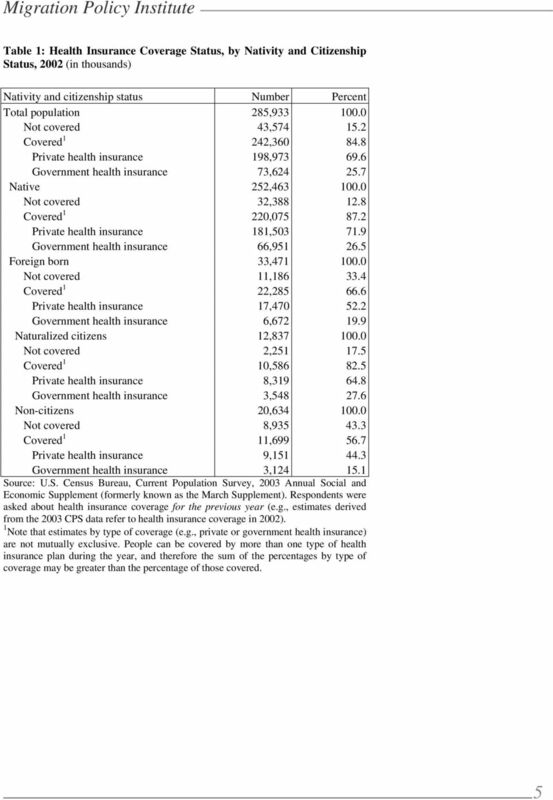 Percentage of persons of all ages without health insurance coverage: United States, 1997 2005 Percent 20 95% confidence interval 15 10 5 0 1997 1998 1999 2000 2001 2002 2003 2004 2005 (Jan.